Mitt Romney at a rally in Raleigh, N.C., Oct. 29, 2014. 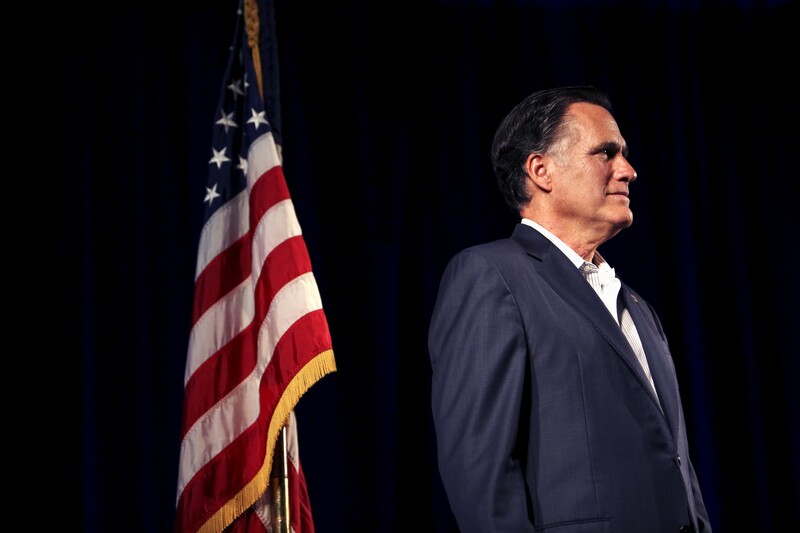 Days before joining a Republican-controlled Senate, and as the 2020 presidential race begins to take form, Romney issued a pointed critique of the president’s character. The piece set off widespread speculation online, with some suggesting that Romney aimed to position himself as “the new Jeff Flake,” the departing Republican senator from Arizona who tangled with Trump. Or, others asked, was Romney, a two-time presidential hopeful, signaling he might challenge the president in the 2020 Republican primary election? Brad Parscale, the campaign manager for Trump’s 2020 re-election bid, fired back at Romney, saying in a tweet Tuesday night that Trump had “saved” the country while the senator-elect could not. Romney and Trump have long had a complicated political relationship. Trump has called Romney “irrelevant” and once bragged that he was a more successful businessman. “I mean, my net worth is many, many, many times Mitt Romney,” he said in 2011. The two tried to play nice during an awkward dinner in late 2016, when it was thought Romney could be a candidate for secretary of state in the Trump administration. Last year, Trump supported Romney’s campaign to become Utah’s junior senator.